Do I need to be flexible or in a good shape to start doing yoga? Absolutely not! 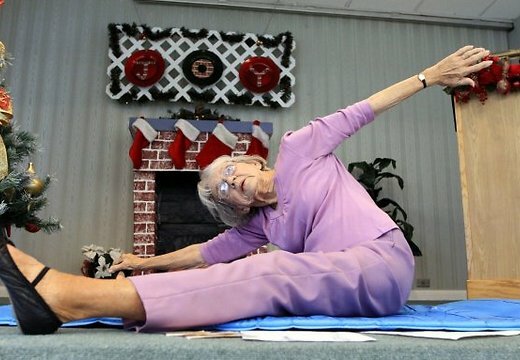 You can start practicing yoga at any time and at any age. You don't need to be someone else. What you do need is to be yourself and come to yoga class to start your journey to Life. Absolutely not! Generally, Yoga is a philosophy, and practically, yoga is a combination of physical exercises called Asanas, breathing practices called Pranayama, and bringing your mind into your body called Meditation. Yoga helps you to be aware of your body and your thoughts. Do you want to be controlled by your thoughts and your emotions or you want to be free from them? Yoga helps you to open the energy channels in your body to let life energy flow freely through your body that leads to healing your body. Yoga helps you to move away the boundaries that you unconsciously set for yourself. Those boundaries limit your relationship with Life but Yoga helps you to love and accept yourself as you are. I am afraid of being in yoga class with others because I am not good enough and people will look and laugh at me. There is no competition in yoga classes and there is no goal that you must achieve practicing yoga. Yoga is a joyful journey through your life and practicing yoga alleviates any suffering. It is a way of living and it lasts all your life. If you are still afraid you can start practicing yoga with a private session. It seems yoga is too easy for me but I want some workout. Believe me, practicing some style of yoga like Power Yoga or Ashtanga can be very challenging. You will feel yourself physically like having been working out in a gym but moreover you feel calm, relaxed, and happier.